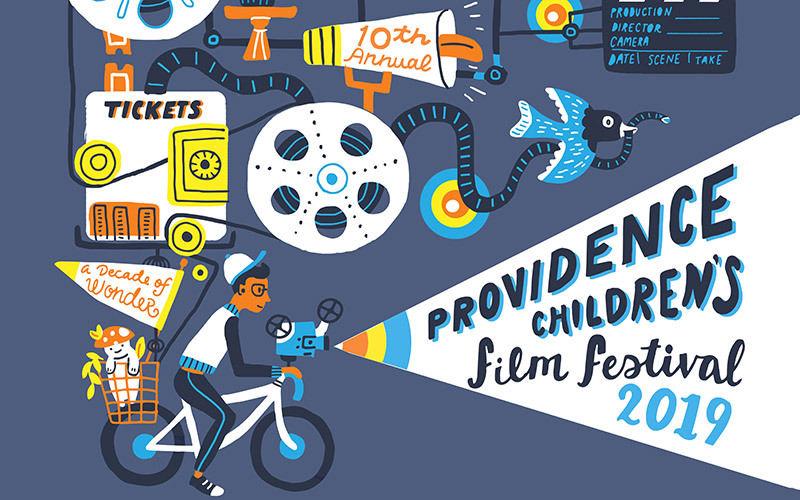 The Providence Athenæum is delighted to celebrate 10 years as an original partner and supporter of the nationally known Providence Children’s Film Festival, and we hope you will join us for the best shows in town during this year’s festival! This Athenæum screening is admission-free. Ticket reservations strongly encouraged. A small number of unreserved seats will be available for each show. We advise arriving early and allowing extra time for parking, as unoccupied pre-reserved seats will be released to walk-in patrons 15 minutes before screenings start. Enter at the College Street side door. Jump on the PCFF magic carpet and get ready to ride! We’ll explore the cinematic wonders of the world from nine different countries – no genie needed! These stories include an anglerfish afraid of the dark, a world where everything is made of wool, and a film inspired by the music of Bill Harley. Travel along with this year’s reel from Seekonk to Australia! Celebrating PCFF’s tenth anniversary by bringing back our popular Opening Night film from 2009! Color and detail dazzle in this Academy Award-nominated animated film filled with magic, fantasy, and Celtic mythology. To complete a magical illuminated manuscript, young Brendan must overcome his deepest fears on a dangerous quest through an enchanted forest beset by barbarians. Will his determination and artistic vision conquer darkness and show that enlightenment is the best fortification against evil? The answer is in the margins!